The multitool is today’s version of the Swiss Army Knife. Equipped with sometimes dozens of blades and bits, multi-tools are useful in the widest variety of applications. This guide will tell you what you should look for in the best multi-tool, the 3 top-selling multi-tools, and a recommendation as to which one you should purchase. The best multitool should be sturdy and fit the hand will. Torque and leverage from any angle, considering the nature of different uses, should be stable. For example, if you are using the screwdriver function of a Leatherman, you should be able to lock the unit into position so that it doesn’t fold under your hand as you operate the screwdriver. By the same token, if you switch to a file on the tool, you should be able to use the file without losing your grip or being pinched by the other tools on the handle. A well-made multitool will also come with a great warranty. Make sure that the warranty is for the lifetime of the piece and not limited to one year after purchase. Sometimes, the pliers of your multitool will have power assistance, meaning that gears present in the pliers will assist you in your work. Look for Leatherman tools, also, that allow you to replace tools on the base unit, if they get broken. This is not a difficult procedure and can extend the life of your tool. The tool should be constructed so that any broken tools can be replaced easily. Steel in the blades should be at least 420HC stainless steel. This will resist rust and corrosion, and hold an edge. The overall length of the tool when opened should be around 6 inches, so that you have a strong enough grip on the unit while performing the desired task. The grip on your tool should be solid and built so that the tool does not twist in your hand while you operate it. While the blades of the knives should be high quality, sturdy stainless steel, the other parts of the tool should be equally sturdy. For example, screwdriver bits should be carbon steel at the least, and at least one file should have diamond dust for durability. The individual tools should be easy to access. Take into consideration the shape of your own hands – many workmen have thick fingers with very short fingernails, making it hard to open particular blades on multitools. A paddle release is usually good, because it doesn’t require a lot of dexterity to operate. Make sure, also, that the locking mechanism is sturdy and durable. You don’t want the tool to collapse while you’re using it. 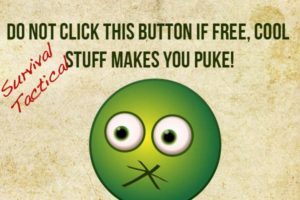 A cheap one will slip, often injuring the user. 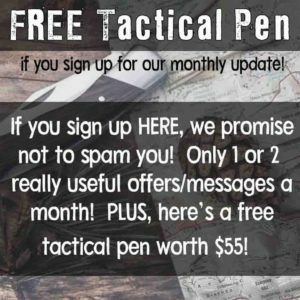 Keep in mind why you wanted the tool in the first place. A camper, for instance, will have different requirements from their tool than an electrician. The camper may want a fork and spoon in his unit, while the electrician will want a wire stripper. There are as many varieties of multitools as there are uses, so shop carefully. You can probably find one that fits your specifications. 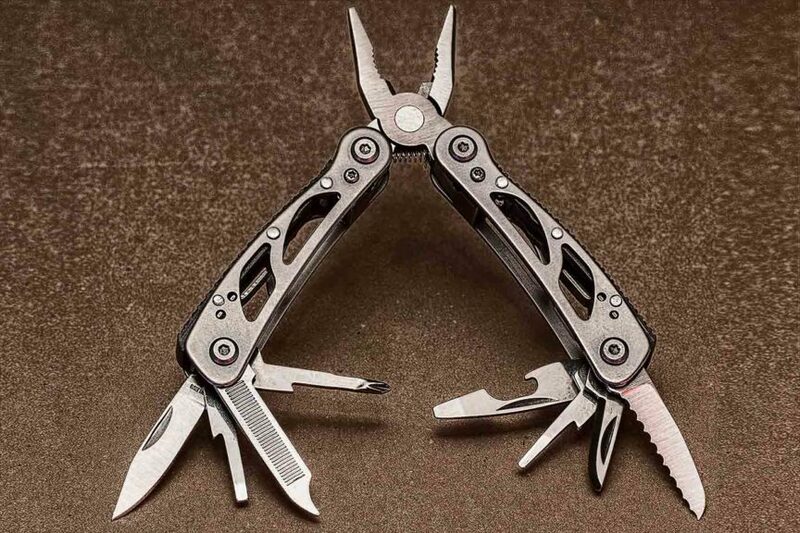 Here are some reviews of some of the top multitools on the market, all from Leatherman. The Leatherman 830039 comes with a leather and nylon sheath. It contains 17 tools, including those listed above. Each part of the tool is made of 100% stainless steel to combat rust and corrosion. This Leatherman comes with a 25 year limited warranty. 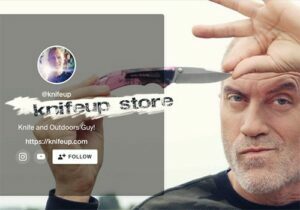 The limitation is to defect in material and workmanship, so if you break off a knife blade prying a rock out of the ground, it’s not covered by the warranty. However, if the tool rusts or corrodes, the warranty will be in place for 25 years. With this tool, you will have 4 exterior blades that are easily accessed when the tool is closed. The pressure opening makes it easy to open the knives, even for those with limited dexterity. The blades are equally easy to unlock and close. Other tools in the construction have generous nail nicks for easier access. Reviews of this tool are almost universally positive. Consumers report that the tool has a good weight, without being so heavy as to tire the hand. It doesn’t torque or twist in the hand, which is a major plus. In each use, the tool is comfortable to the hand. Customers really like that, because so many multitools pinch or scrape the hand when certain attachments are being used. 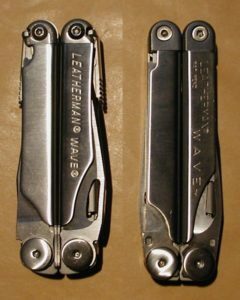 Other reviewers said that the Leatherman New Wave has an excellent locking mechanism that doesn’t slip or give, but is easy to release. They also state that, right out of the box, their Leatherman was easy to use, without the usual stiffness and inoperability that you often find with this type of tool. Find out more about the Leatherman New Wave here. The Leatherman Style CS is an inexpensive version of the more complex tools available from this same company. 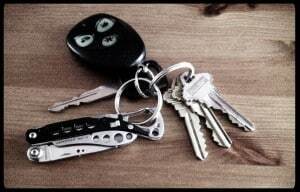 This two-inch multitool will fit on your keychain, providing small tools for emergency or convenience. The tiny tool should not be underestimated. It contains a 420HC blade, a carabiner/bottle opener, spring-action scissors, a nail file, tweezers, and a flat-to-Phillips screwdriver. The tools are accessible from the outside of the tool, and it comes with an attachment for your key ring. Surprisingly, this tool is popular with people who work on computers. The small dimensions (2 x ½ x 3 inches and 3.2 oz) make it very handy to keep nearby, and it is not hard to maneuver in tight places. Consumers who purchased this tool warn that it is intended for heavy-duty use, but they didn’t expect it to be. 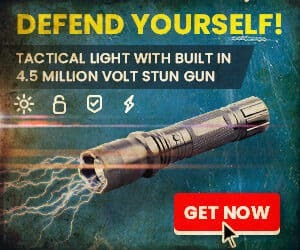 They were looking for a small tool that could handle numerous and varied emergency situations in everyday life, and have found this tool to be excellent for those purposes. The blade is very sharp, and the scissors are excellent, with no complaints about it. The screwdriver is strong enough to fix your glasses and to do medium-weight work. The majority of consumer reports on this tool are positive, with the only negative being some doubt about the quality of the Philips head screwdriver. Read more here. 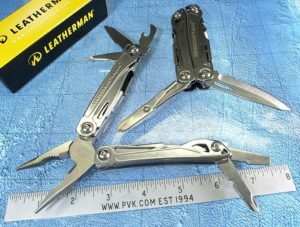 This version of the Leatherman contains knives with 420 HC blades, spring-action pliers and wire cutters, a wire stripper, spring action scissors, and 3 sizes of screwdrivers. It also has a file for both wood and metal, a bottle opener, and a can opener. This tool is a handy size at 3.8 inches closed. The blade length is 2.6 inches, giving you a decent working edge. It is also only 7 oz, so it’s not really heavy. The Wingman is the embodiment of great Leatherman quality. The construction of this tool is solid, the tool is easy to grip, and the selection of tools is one of the best for non-job specific functioning. Consumers who purchased this tool note that the spring-action is especially great on the pliers, scissors, and wire cutter. They also compliment the weight. Since this is not usually a workman’s tool, but one that would be carried by, say, an office worker, the bulk and weight of the tool is conducive to being carried. The knife and scissors are both exterior accessible, which several reviewers complimented. They can also be opened with one hand, which is quite handy. More details on the Leatherman Wingman. If you want a heavy duty work tool, the Leatherman Wave or Wave + is an excellent choice. However, if you want a sturdy multi-tool for non-professional use, the Wingman is a great decision. This tool is small enough to be handy but big enough to do the job. For everyday use, the Wingman is our recommendation.